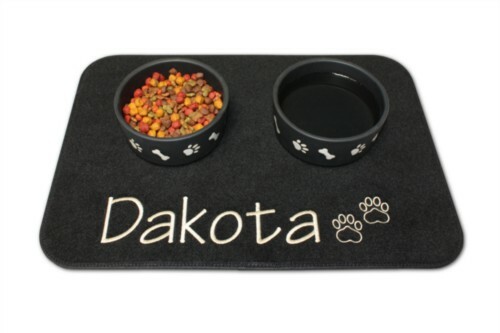 Our custom design placemats can be personalized by beautifully embroidering your pet’s name. 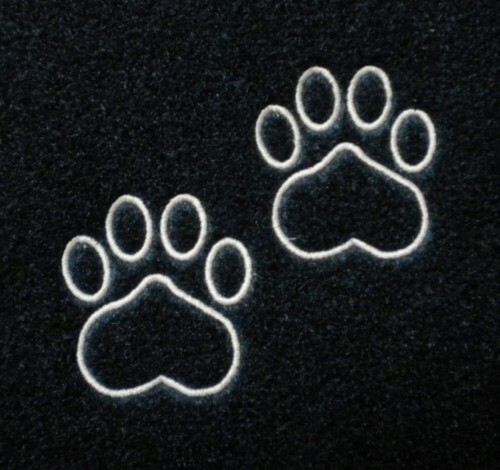 These mats are completely customizable with many personalization options like, size, material color, thread color, font and pet inspired designs. 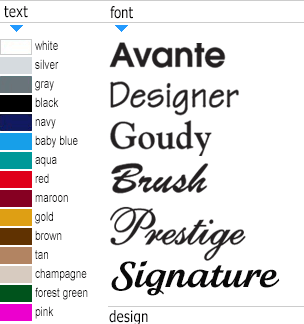 All text messages will be embroidered in a centered - bottom section location unless specified otherwise. If you have a specific layout request please note it in the "remarks" box and include your email address and your phone number. We will do our best to accommodate you. Optional pet paws or bones will be to the right of text, unless otherwise instructed. Please allow typically 3-6 business days to construct prior to shipping from California. The material & thread colors displayed above are to represent the colors available. There may be variances in appearances due to computers, screen resolution, and actual tone, etc. These products are not returnable. 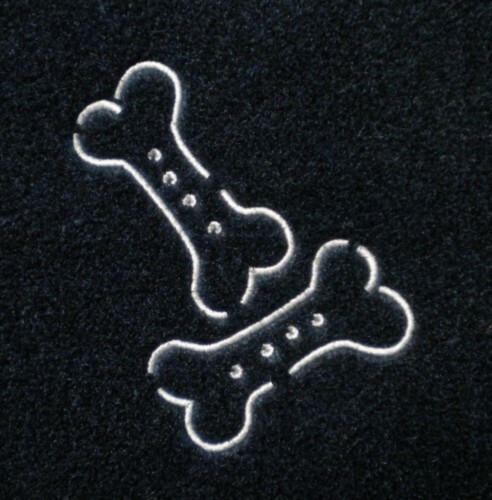 References: Sandie' Galley & More References: Ultra Mat Embroidered Personalized Pet Mats, personalized door mats, personalized doormats, personalized welcome mats, custom floor mat, custom floor mats, boat mat, pet mat, custome pet mat, embroidered pet mat, floor mat, all weather floor mat, doormat outdoor, pet mats.